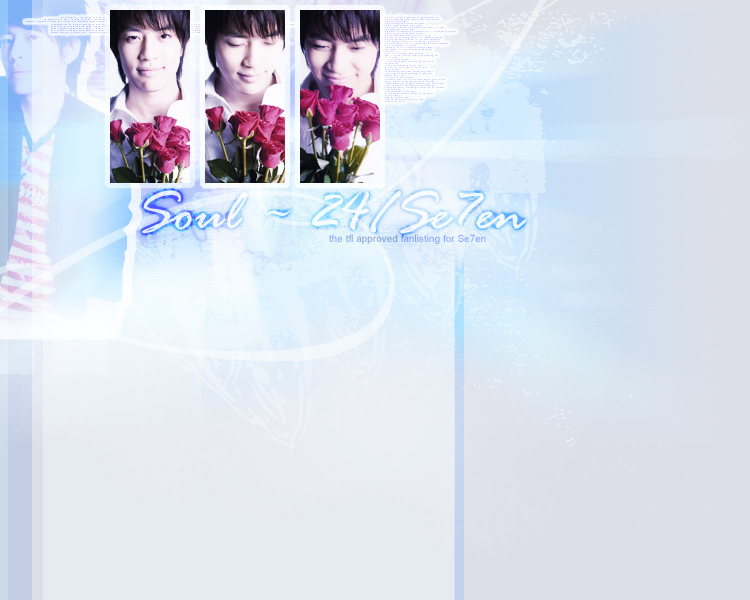 The layout you are seeing right now version 3 of Se7en's fanlisting and was created by this fanlisting's newest owner, Daisy. Below is a small paragraph on how she made it. As for technicalities, this layout was made in Adobe Photoshop with a help of an assortment of brushes that I've had on my computer since who-knows-when, and coded entirely with Notepad. I really enjoyed making this layout, I think it's one of the best layouts I've ever made, and maybe in a year or a few months when I want to change the layout yet again, the final product will be as good, if not better, then the layout you see in front of your eyes right now.